Direct Debit payment system – How Can We Help? The Direct Debit scheme offered here is provided by our underwriting partner, Hiscox. If there are any changes to the amount, date or frequency of your Direct Debit, Hiscox will notify you (normally 3 working days) in advance of your account being debited or as otherwise agreed. If you request Hiscox to collect a payment, confirmation of the amount and date will be given to you at the time of the request. If an error is made in the payment of your Direct Debit, by Hiscox or your bank or building society, you are entitled to a full and immediate refund of the amount paid from your bank or building society. If you receive a refund you are not entitled to, you must pay it back when Hiscox asks you to. You can cancel a Direct Debit at any time by simply contacting your bank or building society. Written confirmation may be required. Please also notify Hiscox. What is my choice for payment dates? Direct Debit payments can be taken on either the 1st, 8th, 15th or 22nd of the month. We just need to let you know that space-time in Direct Debit land varies from our own. As such, our Direct Debit instruction may take up to 14 days to reach your bank, so we may not be ready to take your first payment on the next occurring date that you have chosen. For example, if you started your policy on the 2nd July, but selected the 8th of the month as your payment date, then it could be the 8th August before the payment was taken. If we are unable to take the first payment on your next chosen occurring date, the outstanding month's premium will be collected with the usual monthly payment at the next opportunity, so don't spend it all on shiny new bike bits...or cake! If you choose to pay for your policy annually, we will only take a single payment and will not debit you for the following year unless you choose to renew. You will be given notice of your renewal 30 days before this takes place. If more than one person is required to authorise Direct Debits on this account, we will need all signatories to sign a paper version of the Direct Debit mandate. The form is available for download below. Please follow all instructions for completion at the top of the form. Your policy is paid for via a Direct Debit service provided by our underwriter, Hiscox. If you would like to change the details of your Direct Debit, such as changing the account that the money is debited from, please contact Hiscox on the details provided below. You can contact Hiscox by phone, email or by writing to them. 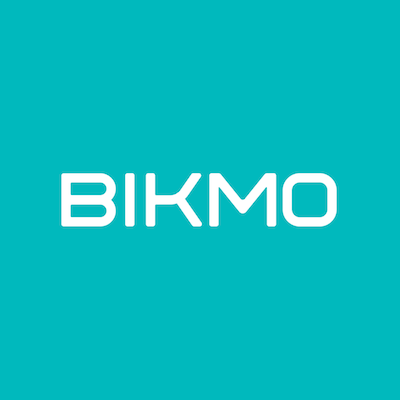 If you have any questions related to whether you need to contact Hiscox or Bikmo, please contact the Bikmo Customer Experience team on 01244 470 337 and we'll be happy to point you in the right direction.